Toddy wrote: Can you sort this ? Still not getting E Mail Notifications any update on this ?? A please would be nice? I think the 27.50 is ok for camping, less than a tenner a night. Didn't even see the bands, just had a great time sitting around the tents taking the p155 out of each other as usual. Hate the "mod themed" pubs in Ryde. If the ferry guy is anything like the ones that direct us on and off at Lymington, I can understand. Just before the ramp went down, everyone started their engines and the 2 stroke smoke was choking him! He probably let you all go at once so he could breath again! vespanic wrote: It should be noted you can't use the code to travel on either Friday or the Monday. I would imagine that nearly all riders would use one of those days at least. I've found a code, from lymington anyway.. 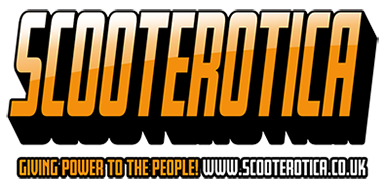 I see the robbing c@@@s at wightlink want £41 this year for scooter and rider (from Lymington)!